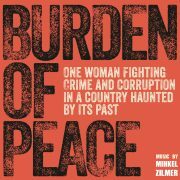 The documentary ‘Burden of Peace’ tells the impressive story of Claudia Paz y Paz, the first woman to lead the Public Prosecutor’s Office of Guatemala. The country that has been ravaged for years by a devastating civil war, in which nearly 200,000 Mayan Indians were systematically massacred, is today one of the most violent countries in the world. Claudia starts a frontal attack against corruption, drug gangs and impunity and does what everyone had hitherto held to be impossible: she arrests former dictator Efraín Rios Montt on charges of genocide. His conviction becomes the first conviction of a former head of state for genocide in a national court in the world history.